Most modern petrol cars do less than 6l/100km average split city/motorway. You don't believe everything your read on the internets, do you? The Energy Density of gasoline is 44.4 MJ per kg, so it is useful to think that the energy in 1,125 liters of fuel (roughly 22 full tanks of gasoline) is what is needed to make a new EV! " WRONG because 1 litre of gasoline isn't 1 kg of mass, more like 0.7[kg/l] => you'd need 1462 litres. (search energy density in the wikipedia). The battery capacity on Tesla’s Model S is 85kWh or 306MJ. You will need to fully charge your Model S 164 times to have spent 50GJ of energy or the equivalent of making another EV"
WRONG, because the best case round trip efficiency of li-ion batts is 90..95%, and still have to add to that charger losses. Hint: Teslas have calefaction for the batteries (for charging in cold places) and cooling (to dissipate batt's heat during recharge). I'm glad to see he estimates 19.9 kWh per 100 km. That's not the real thing either (under normal driving habits), but at least isn't the much lower silly figures most EV fanboys try to make us believe. WRONG, look, 60[tanks]*50[litre]*34.2[MJ/l] -> 102.6 GJ, but 34GJ*4 is 136 GJ. I stopped there. You get the idea, don't you? To this day only 15 Tesla fires are known (2013-2018). Except a few, they happened after very severe crashes. As on Feb 2018 total of 300,000 Tesla cars were produced. That means around 1 in 20 000 of them caught fire. In 2015 there were 263 million cars in US. With 174k car fires the same year, it's 1 fire per 1500 cars annually. Please note that Tesla number is during all years they were produced, not annually. So what's more likely to catch fire, a 12 volts car that's totally off or a car with a hundreds of volts, kilowatts inverter/power supply pushing charge into a massive li-ion battery? In any case, I was asking that question as a nerd: what do you as a nerd/engineer think is more likely to catch fire? You may think what you want but real statistics are not in your favor. I don't want to buy anything designed by engineers for whom feels and superstitions matter more than real numbers. Old ICEs? Those Ford Kuga were 2013+. Also do you really think US uses mostly old cars? Even if only 1 in 20 of those 174k cars burned in 2015 were relatively new and we forget about the rest, statistics are still not in favor of them. but it's worth pointing out at this moment that the i3 was equipped with a range extender, which means it came with a small gasoline engine that would act as a power generator charging the batteries on the go. BMW will be issuing a recall for over 19,000 i3 REx (range-extended) cars towards the beginning of April due to concerns about fuel vapors potentially starting fires, according to recent reports. Nice fact checking George You didn't even read what was written there. 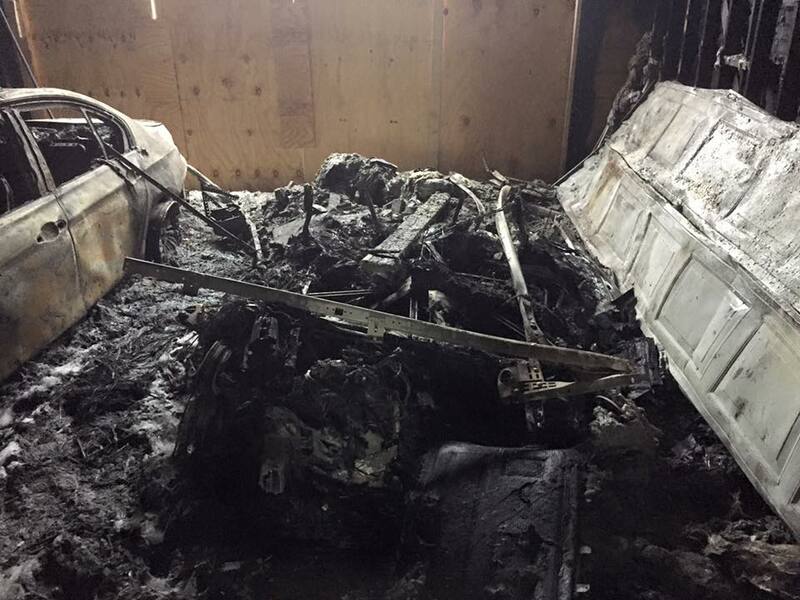 Also, neither the car, nor the home charging equipment, had anything to do with the fire. It was an unfortunate accident resulting from a fireworks event for a New Year's Eve celebration last year. Hours after cleaning up the debris from a neighborhood event, a trash can that had ashes from the fireworks ignited. Neighbors had gotten together for the fireworks display and the clean up. There must have been something placed in the trash that wasn't completely extinguished, and after a few hours of smoldering, it unfortunately caught on fire. But my point still stands: Teslas aren't the only EVs there are. Other EVs also catch fire every now and then. Add them up. And you keep comparing apples to oranges (unknowingly it seems) because a new Tata Tiago or a Dacia Sandero (sold by the millions) is in no way comparable to a new Tesla Model S or an i3 not even to a Leaf that costs 4..8 times as much. When and if there are cheap EVs then we'll find out where do they cut corners/$. You may think what you want but real statistics are not in your favor. I don't want to buy anything designed by engineers for whom feels and superstitions matter more than real numbers. Superstitions? What might be the MTBF of something that's turned off? All you gathered to show other EV fires was false. With tesla, it was easy to gather number made and number of fires as every fire is all over the news. Did you read what I and others said. ICE cars are not fully turned off. Not to say that even if they sort of would, energized wiring still would be there. EV requires 50 GJ and 3,250 CO2 to manufacture while a normal ICV requires 34 GJ and 2,000 kg of CO2. After a first year of use ICV already will create more CO2 emissions (manufacturing + usage). Look, Hyundai says of the Ionic: 28 kWh battery, 280 km range => 10 kWh/100km and you say 14 kWh/100km, which is 40% more, right? Teslas have wider tyres and a larger frontal cross section area and more power and weight and Tesla says 19.9 kWh/100km, now you do the math. Ok, so the Teslas are the only EVs that catch fire spontaneously or in an accident... right? And when we say an ICE runs 10 mpg is because we've put 1 gallon into the tank and it's gone 10 miles with it. But you, to begin with, to draw 10kWh off your batt have to take (about) 10/0.85 -> almost 12 kWh off the wall plug, something that very conveniently always forget to mention in the figures you give. Maybe, would not check for that. Does not matter if they are still tens of times less prone to that compared to ICV. LOL what? What this is supposed to imply? Which is something that you just don't know and keep comparing apples to oranges. If you imply that Tesla is the least safe EV, then be it. Then I could say that the least safe EV is still tens of times safer than average ICV. 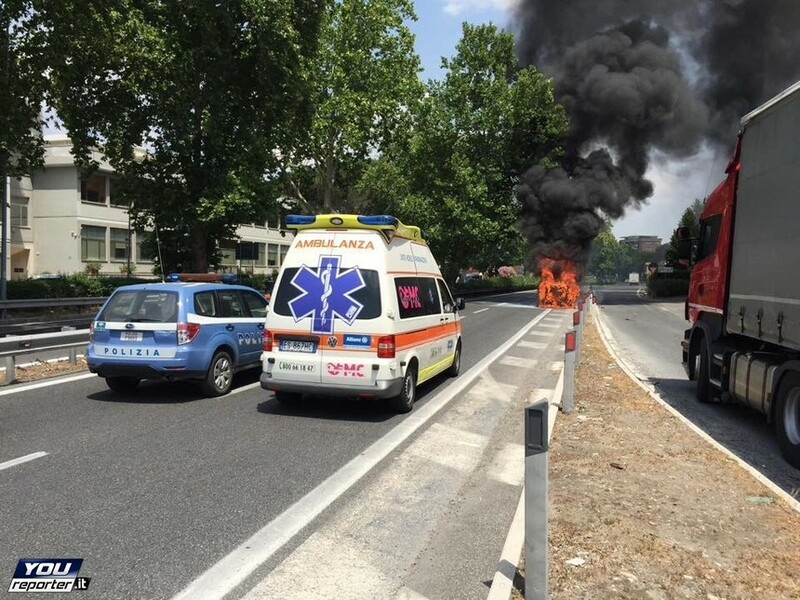 Widespread EV fires are somewhat unheard of. What part, exactly, you don't understand? You mention mpg and kWh, what conclusion I should make out of that oranges vs apples mentioning, not even comparison? That you cannot rate EV with mpg? Or cannot charge ICV? . Or it's a news for you that EV don't generate free energy? As of CO2 emissions resulting from using EV, particular number was given, not nearly 0. If you say an EV consumes 10 kWh/100km in reality it has consumed 12 kWh off the wall plug => 12 kWh/100km not 10. If you say an ICE consumes 10 litres/100km in reality is has consumed 10 litres off the gas pump. No tricks here, unlike above. Where is the trick? In your imagination? All the kWh/km figures the EV users give are wrong, to begin with. Those figures were not from EV users but from a government website.